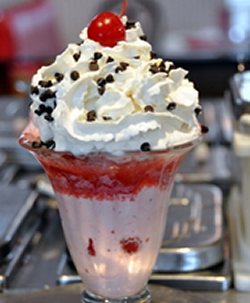 Strawberry Chocolate Chip Chunk Ice Cream. 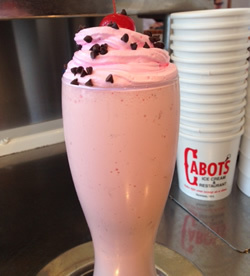 During the week of May 7th - 13th Cabot's will feature three signature creations - Sundae, Cupcake & Frappe. 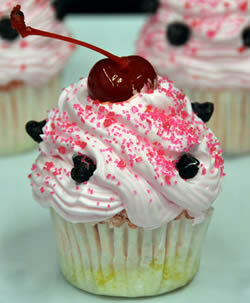 We will also have pink whipped cream for the entire week! So please come and enjoy all for a great cause. This fund raising event is to raise awareness of the threat of breast cancer and raise funds to find a cure. breast cancer research and care at Dana-Farber Cancer Institute in Boston. Cabot's is honored to take part in this event.